I've got a very strange issue with a board I'm trying to handwire. I have swapped out controllers, changed to different firmware, and completely rewired the board and no matter the configuration the issue is the same. all the diodes are in the same direction, none of them are dead, all the switches actuate properly, theres continuity everywhere. I'm stumped. I can actuate any of the first 3 keys from the left of any row, if I am holding down the third and fourth key at the same time then the forth key will register. It does not register on its own. 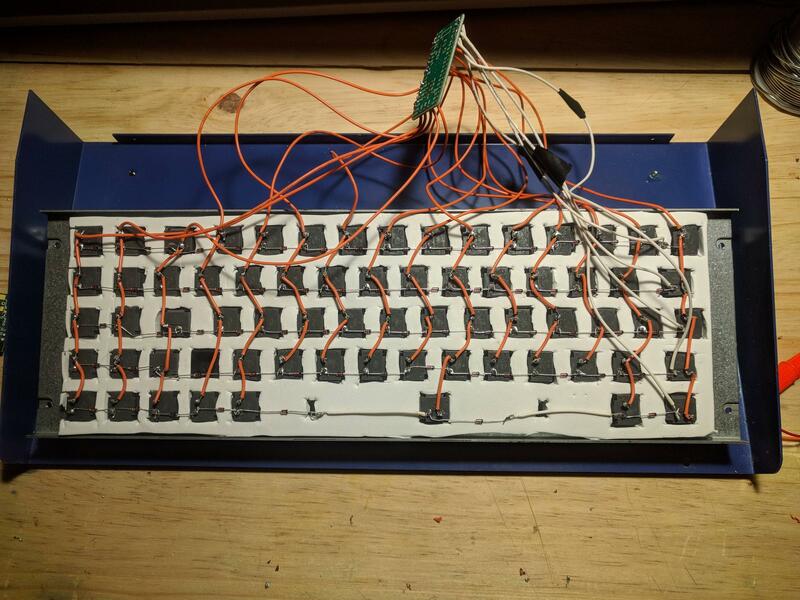 This effects physical location, not logical, so on the bottom row where the space bar is logically in the sixth row it is still only the 3rd physical switch and it will register just fine. The B key, one up in the same column does not register at all. Here's what the matrix looks like presently. I'm at a bit of a loss so any help would be appreciated. You wired the diodes inline with the rows. They should go from the column to the row. Wow, I can';t believe I missed something that simple. I'm redoing the diodes presently and we'll see how it goes. Yep. 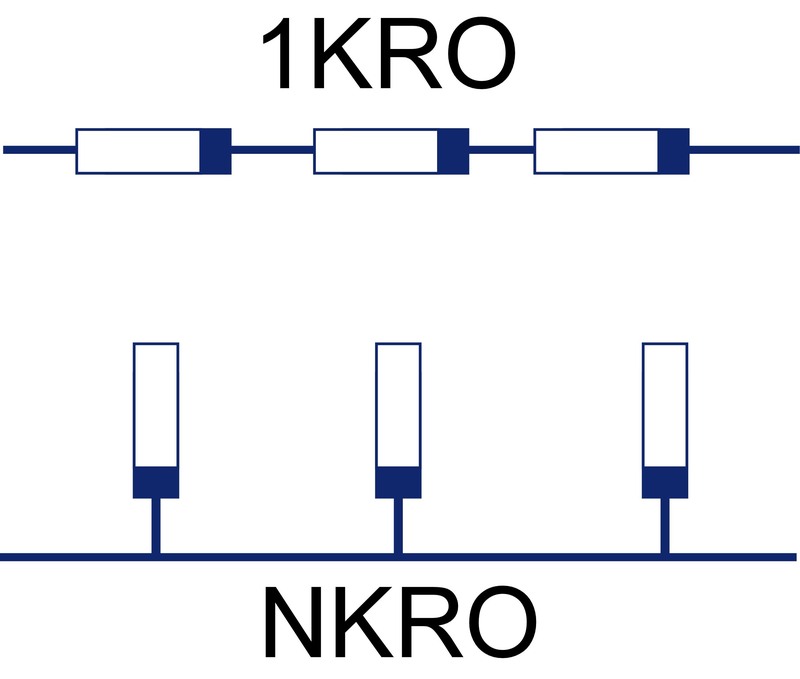 Within each junction, the diode should be in series with its switch. Also, It does not matter on which side of its switch a diode is, as long as all diodes are in the same direction. Yeah, I've done hand-wires before I just completely spaced it and somehow never thought to check that lol.